A TOWN PRIMARILY FOR PEOPLE!!! KEY ADVANTAGES: Mitigates any risk from Fire, Floods or Climate Extremes. Reduces all future construction cost up to 70% for the next 500 to 1000+years. Designed for greater flexibility improves social, economic and technical advancement opportunities for each individual and the community. Provides incentives and opportunities for all income levels to become self-sufficient. Rearrangement and physical redesign, actually the invention of a totally new type of basic building site, neighborhood, compact city and mega-city creates amazing new opportunities that have never been possible before. Over thirty years of research generated a comprehensive understanding of everything future cities need to do. It is obvious existing cities can never become sufficiently sustainable. Resilience is their urgent and best hope, but that’s not good enough. This proposed city will eliminate any destruction from Fire, Floods or Climate Extremes. It will have near Zero Energy Use; Food Production is part of its many Integrated Systems. Urban dwellers of any income will have new incentives and freedom to generate greater individual and community success, …social and economic. Many decades of research and field-tested applications by professional teams have identified the physical parameters necessary to meet every city challenge and every kind of use in a typical city. This physical framework is based on those parameters. It maximizes flexibility for continual updating to meet the city’s continually evolving objectives. Flexibility allows the framework to be permanent, 1000+years of “Continual-Use,” a direct 70% savings. Those permanent construction and environmental costs never occur again! The framework physically provides 70% of what a typical suburban building provides. Almost unbelievable: for 1000+years an entire new home will cost only 30% of a comparable new home replacement in suburbia! Additional enabling breakthrough: every building site is totally private and will accommodate up to four modest homes, one large home or any other typical urban use. This provides new opportunity for small entrepreneurs; the perfect economic stimulus every mayor seeks. New physical arrangements will enhance normal daily encounters with neighbors and natural surroundings, and inherently reduce high-tech social isolation, …from the neighborhood scale to the “Mega City” scale. This total TRANSFORMATION of urban life will potentially exceed our “carriages to cars” and “typewriter to computer” transformations!!! This is the first human habitat that makes “Self-Sustainable Survivability” possible, practical and affordable. THIS PROPOSAL IS ONLY THE EMPTY STRUCTURAL FRAMEWORK. Others will design the architectural infill and ultimate appearance. To some degree, it's like raw land in a three-dimensional arrangement. It has carefully arranged building sites (for any urban use) around public plazas located in the center of neighborhood modules. Many modules added together eventually become a city that supports a transit stop. Gradually future generations will build high-rise towers rising out of these compact cities. Many of these small walkable cities surrounded by their farms are connected together by transit to form an entirely new kind rural megacity, fully integrated with the natural environment. The ancient Anasazi in Chaco Canyon, New Mexico, built the only known previous preplanned community that was designed primarily for people, no streets for beasts of burden or vehicles. Its plan was a semi-circular structure with stair-stepped housing up to five stories overlooking its plaza and cornfields beyond. It was self-sustaining. This proposed concept, utilizing our advanced technology and accumulated historic wisdom, is the world’s second city to be first and foremost designed primarily for people. This concept is called the Anasazi-Zellmer Paradigm. It offers, never before possible, ECONOMIC OPPORTUNITIES to young and maturing urban dwellers. Individuals can become HOMEOWNERS AND SMALL SCALE ENTREPRENEURS. This new type of URBAN BUILDING PARCEL offers the freedom, flexibility and privacy pioneers had with a property on a hillside in the country!!! That kind of freedom formed the foundation of our Constitution. It allows the freedom to fulfill the requirements and dreams of a growing real estate market. The needs of young people change after having been attracted by the excitement and convenience of the urban environment. Many, as they begin to settle down want to have a family. This new alternative allows them to meet their changing needs and have the best features of suburbia without having to move from their urban lifestyle. This new urban building parcel is proposed as part of a new city concept. 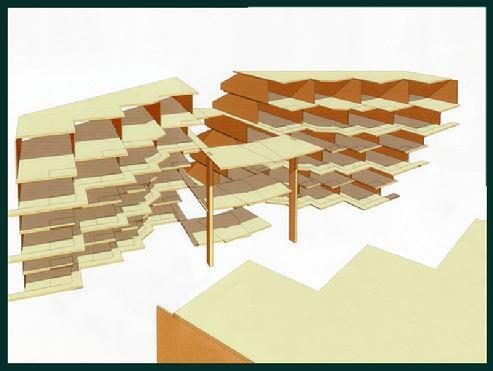 But it can be built in any new structural framework. This new city concept can meet every challenge that future cities will face. It's amazing, today's technology, better understanding and people's commitment to a better world make this possible for the first time in history. Immediately below explains how it's the perfect rebuild after housing disasters. And Fully Address All Our Cities’ Climate, Energy and Social Challenges. Only “PERMANENT long-lasting SOLUTIONS” will justify that investment. This proposal resist any climate extreme, it improves future living conditions and offers new opportunities to enhance the local economy. It will meet everyones objectives, including extreme environmentalists and pragmatic developers. It accommodates ALL city challenges: physical, social and financial, ie. from: “normal daily life continues as hurricanes rage” to “ownership incentives help lift people out of dependency.” It uses reliable, proven solutions. Flexibility allows continual refinement and new systems. It meets a growing housing market, combining the best of rural suburbia with urban convenience. It reduces housing costs the same way Europes’ housing has for hundreds of years in permanent structures. It will save money, lives and cities. Nature or What We Continued to Build. This is a proposal for the first comprehensively sustainable human habitat offering the ultimate in survivability and livability. 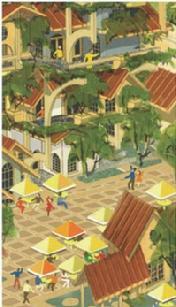 Over centuries its flexibility and efficiency allow occupants to continually refine it as needs and technology change. It offers the most affordable, immediate, and permanent-climateproof rebuild after our recent fires, hurricanes and floods! What we typically build is INADEQUATE because it doesn’t protect us from natural recurring conditions! 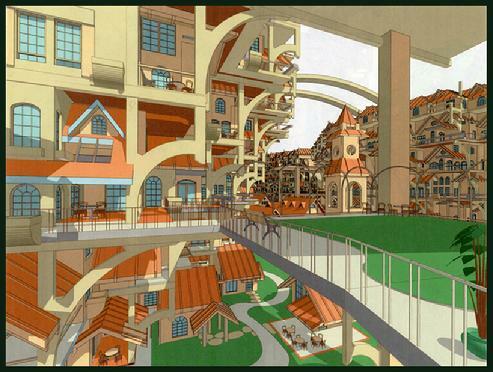 We should not allow the future to be trapped by city concepts with inefficient buildings along streets! Money spent to repair and replace is totally wasted if real improvements are too small and homes remain vulnerable. Climate is not the only problem. This concept addresses all the many other challenges that are impossible to solve with typical urban and suburban housing. Our cities have never been designed to solve the kinds of modern challenges we recognize today! Our basic city concepts grew out of Roman military encampments based on street patterns over the last 2000 years. Whatever causes continually changing climates, hot and cold extremes, these are not temporary current issues. About 400-AD climate disrupted crops; over 50% of Rome starved. Ice core charts over 450,000 years clearly show 5-degree spikes and 20-degree drops in temperature lasting hundreds of years. Crops suffered from low solar activity, the Maunder Minimum (1645–1715). Every possible climate condition already is happening somewhere on Earth. We have the technology and experience to build a new more livable city infrastructure that can meet any type of challenge: extreme climate, earthquake, flood or fire. Never before has the combination of our technology and in-depth historic social understanding so uniquely existed together! This new concept comprehensively applies all that new knowledge in concert to this entire city concept. Typically a building industries research only focuses on their limited area. No other concept so completely and simultaneously addresses all the challenges of cities as effectively as this proposal. All that considered, but imagining starting from scratch, as if never having seen a city or house, allowed us to discover an entirely new kind of human habitat. Everyone today is more aware of the challenges, this is the perfect time to invent and build an entirely new city prototype. We must not be encumbered with any preconceived limitations or solutions. Much of the necessary government research and policy work has been done. Policies based on out typically inefficient outdated traditional city concepts can be revised. Laws, policies and regulations alone will never overcome the physical limitations of existing city concepts. We need new physical solutions. This new concept proposes an entirely new physical city infrastructure. This is the first comprehensive solution that has simultaneously considered and allowed arrangements for the historically proven and practical features all cities require. The infrastructure design is ready.Think of it as a new kind of raw land on 3-D platforms. Private, like on a hillside in the country, not spread across the land. In it people build whatever they want, use ordinary local materials or lift a complete kitchen, bath and room module into place. Easily make improvements, add components for a room on a weekend, gain ownership equity. It’s amazing how many energy, environmental, and social objectives can be inherently solved by this physical design approach. 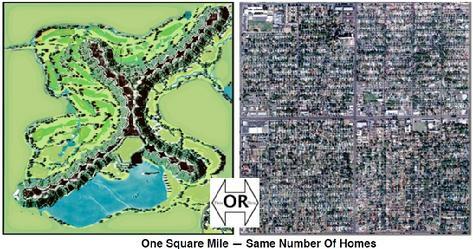 Basic human habitat challenges and desires are universal. The flexibility of this physical city infrastructure allows solutions for any site and condition anywhere in the world. The market opportunity is a huge. In some locations, the need for an infrastructure and protection like this is already desperate. To start, four or five prototype neighborhood modules (with 96 building-sites each) need to be built so normal people can see all that it offers. It will satisfy the objectives of the extreme environmentalist and the most pragmatic developer. It is so flexible people simply build with local construction techniques in its framework. Its partial weather protection, utilities and ownership incentives-to-improve make it the most practical long-term solution for any type of housing condition in any culture. This concept has many advantages. Everything can start quickly and simultaneously. Local authorities will form a group that would be identified here as the Client Group. The developers of this concept will be retained as consultants to that Client Group. They will assist in selection of sites and consultants for the various stages. Local authorities will select what types of interim housing Is needed until the infrastructure is complete. There are a variety of possibilities. A selection factor, temporary housing units will have permanent value because they can be moved into the new city infrastructure. Many companies have housing units ready for purchase. Local authorities and the Client Group will determine the best locations for the new city infrastructure. 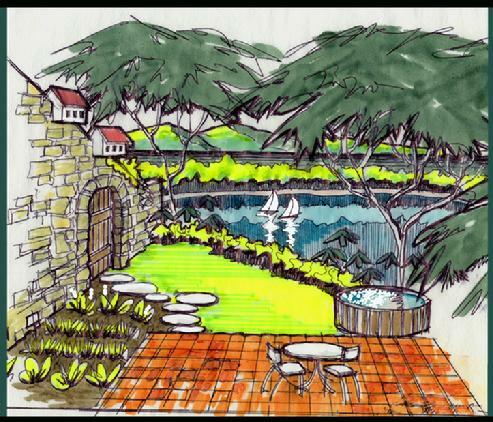 The infrastructure’s schematic designs are sufficiently complete to immediately begin preliminary site drawings. Site planning will be designed to fit local site conditions, requirements and objectives. Under certain conditions, preparatory site work can begin almost immediately. The size of the Building-sites in the new infrastructure will be determined by the Client Group. The consultant team for coordinating the infrastructure and surrounding area will be retained. 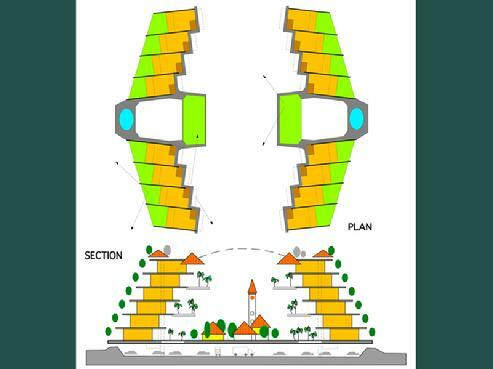 Based on the infrastructures schematic designs, construction proposals will be invited. Fast-Track-Construction approaches can be utilized. As each neighborhood infrastructure is being built, buyers will purchase their future building-site. Buyers can design and build a new home. To reduce cost and for quicker occupancy buyers can move their temporary housing units into their new building-site. They can add more rooms, or build a duplex, four-plex or even a family business. All this flexibility with ownership options, encourages new dreams, allows sweat-equity and incentives to enhance individual lives and the community. 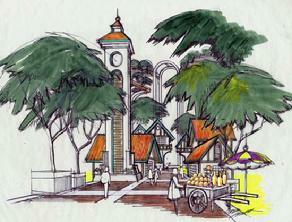 Current designs of towns are based primarily on the needs of cars and what people make, sell or buy. 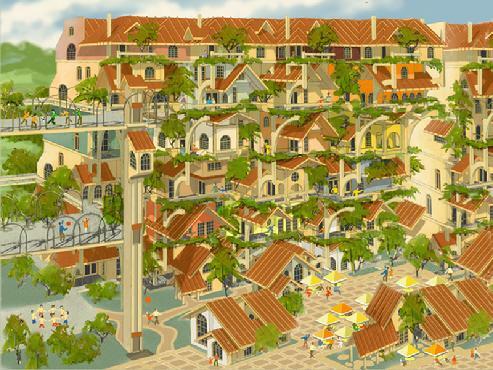 A new paradigm, this town concept is designed primarily for people. Cars have a convenient but separate place. Its permanent infrastructure is planned and financed for the long term, which makes housing affordable and encourages planning for higher quality long-term investments. It provides for comprehensive inherently sustainable livability, technical systems and farmland. No other current housing or town concept can satisfy all these objectives. This may be the first comprehensive attempt to invent a town for today. On first impression, without any depth of understanding, it may appear impractical or futuristic. However, while different, it uses standard construction, more fully meets people's needs and can be built now. This research grows out of 40 years of designing, building, master planning, cost control, and real estate development experience. During that time social, historic, environmental and technical systems research was conducted specifically for this objective. 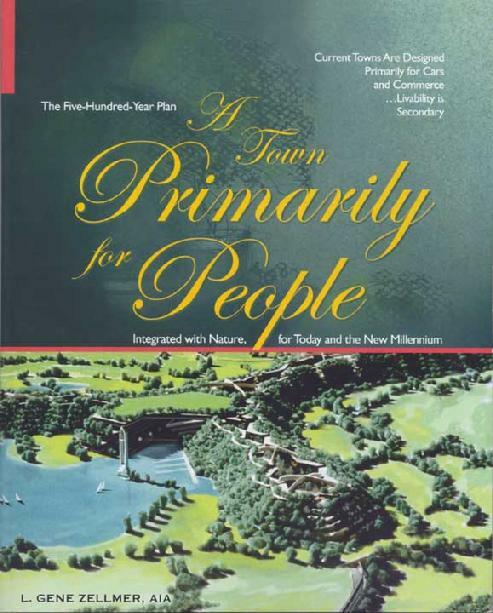 The BOOK, A Town Primarily For People describes the desirable future and historic features of this entirely new type of town; it satisfies everyone's objectives within a format that allows the highest dreams and expertise of the environmentalist, landowner and developer to be combined. With drawings and text the book describes how it can be done, and how it reduces impacts on water, air, transportation and farmland; even within existing historic downtowns. The town actually functions in harmony with nature, like a living organism. YOU ARE INVITED to be a contributing author for ANOTHER BOOK. Anyone with ideas that relate to or might function as an integral part of this town concept is encourage to submit proposals. Each author would be identified and the lengths of the chapters may vary depending on the contribution. All ideas or comments are encouraged. Please indicate your particular interest by sending an email to book@sprawlsolutions.com. The HURRICANE-PROOF potential of this concept makes it suitable for replacement of housing and towns along the GULF COAST and in NEW ORLEANS. The lower levels are for parking or other easily moved uses. All the shops and housing are above flood levels. Below the following images is an outline of its Hurricane-Proof potential and its possible application for new housing in New Orleans and also in Iraq. 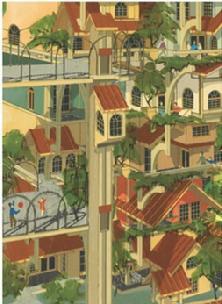 The first image above is an aerial view of a town based on this new concept. What appear as hillsides actually are trees in the backyard of each home. This is not a hill, the inside is hollow. The top is open below the X-structures along the ridge. Running continuously inside is Main Street. The front porch of each home overlooks this street. The image above is a typical backyard of an individual home. Being totally private it can be any design. Views overlooking the countryside from every yard are like being on your own hillside in the country. Below the book cover is a view of Main Street. It can be any design based on needs and the local neighborhood culture. The entire extened neighborhood of 96 home sites and its section of Main Street is visable from each front porch. They act together as a visual and functional unit. For the first time in history we have the experience and knowledge to build towns that can efficiently do more than any previous concepts. With this concept human habitats can integrate with nature as efficiently as a daisy or as habitats of other supposedly less intelligent life forms. While primarily for the physical and social needs of people, it can meet the objectives of the most ardent environmentalists and profit-oriented developers; a TURNING POINT all of us can make together. MANUFACTURED HOMES can be built immediately and located where needed. SAME manufactured homes are inserted in long-term Home-Sites. AFFORDABLE, � each Home-Site loft space allows individual flexibility to meet changing budgets and needs, a single-family home or a 4-plex and sweat equity. Potentially HURRICANE-PROOF, plus flood level is parking, open space or easily moved uses. CONTINUAL USE for hundreds of years is more efficient than any recycling. BEST FINANCING, -bonds, 70% of total home cost is permanent construction. COMPARABLE TOTAL COST, typical cost of streets, floors, sidewalls, roofs, etc. is enough to build the permanent infrastructure. ENERGY use is one-fourth of current housing spreading across the land. Adds MINIMUM to global warming, ADAPTABLE for an ice age. 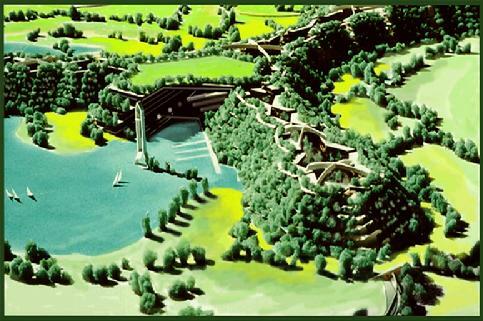 As the future HANGING GARDENS OF BABYLON designed with today�s most advanced technology. A MONUMENT TO THE PEOPLE, -home-sites built just for them. FREEDOM to build homes with traditional methods, easily changed over time. A SYMBOL of our interest in a new future for the people. 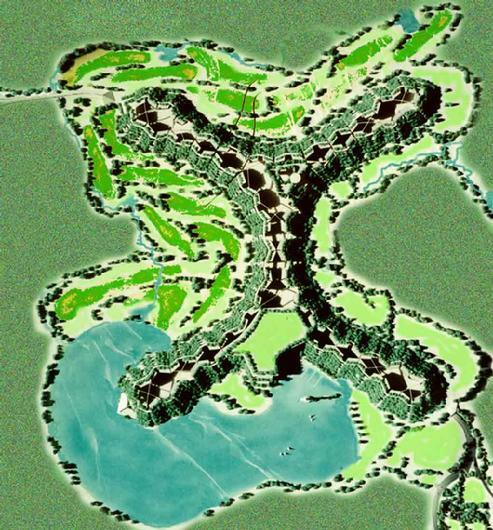 This New Concept Town Could Eliminate General Plan Conflicts? Our current concepts for housing may never allow us to solve the conflicts between people�s needs, agricultural and responsibility to the natural environment. After fighting over planning issues, spending much time and money, everyone is usually forced to accept less than satisfactory compromises. Over decades, it happens again and again. Without better concepts, conflicts and impacts will only become worse as centuries pass. (1). The General Plan intends the rural 3500 acres northeast of the county seat for 62,000 people. NCT can provide the same population but also; on the same land have 1700 acres for farming, plus 800 acres for natural and recreational open space. (2). The General Plan allows 40-acre parcels in agricultural areas to have three homes, and farm buildings. Along with the roads, that could use 10% or more of the land. On only 15% of the land (just 5% more), NCT provides the same number of homes as if 100% of the land was covered with General Plan type housing developments. NCT uses the remaining land (85%) for some recreation, but mostly for farming as an integral part of NCT�s sustainable self-contained water and waste recycling eco-system. (3). NCT can turn less than desirable land into high quality farms, potentially adding farmland while still doubling the population. (4). The General Plan cannot make new developments be compact enough for efficient local or regional transit. Most will still need to provide alignments, distances and spaces based on the needs of cars. Every NCT home will be within a 5-minute walk of NCT�s own self-supporting transit system. This transit systems convenience and efficiency makes for maximum use and minimum impact on existing surrounding areas or streets. (5). Rather than typical backyards viewing fences and neighbor�s houses, all NCT homes have private backyards overlooking hundreds of acres of open space, like being away on a hillside in the country. (6). Rather than typical front rooms viewing houses, often empty streets and parked cars, all NCT homes have front rooms and porches overlooking an immediate neighborhood play area, neighbor�s porches close enough to wave greetings, plus views of Main Street with shops, sidewalk cafes, parades, and no cars. 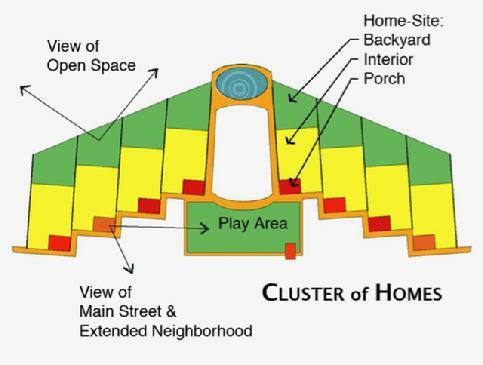 Interesting activities encourage more front porch use, making for safer neighborhoods and a real feeling of community. (7). 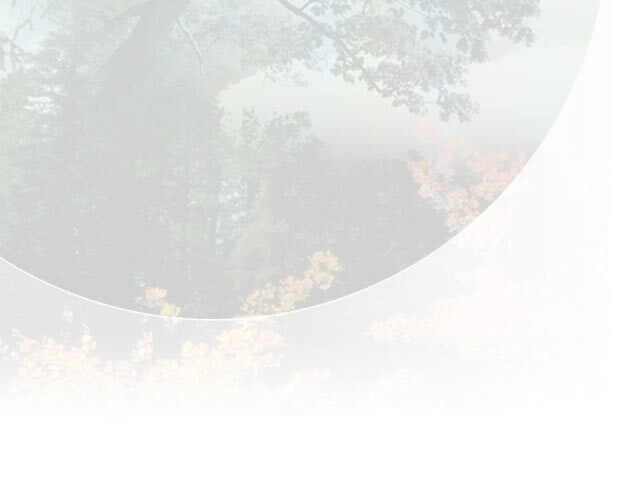 NCT home�s can be built to meet any owner�s budget and needs. Each home could start as a one-room house for a young couple, grow to a complete four-bedroom house, empty nesters could retreat into a one-bedroom portion and rent the rest for retirement income. Total flexibility for all ages, future generations and extended families encourages wonderful neighborhoods and new approaches for affordability. (8). NCT reduces all environmental impacts: water, energy and construction material use, -for centuries. (9). NCTs fundamental principal is that towns are for people, everything is within a short walk. Cars have a convenient but separate place. The absence of cars will improve livability for homes, neighborhoods and their special section of Main Street as well as it has for Italy�s Venice or its Hill Towns, and our shopping malls with cars parked out-of-sight. (10). NCT is based on the principal that continual long-term use is more efficient than recycling or reuse. NCT is designed so at least 75% of each home�s initial cost is permanent, protected and near maintenance-free. Those durable elements of construction are paid for only once but designed to last hundreds of years. That will allow long-term low cost financing, another approach improving affordability. All this may sound unbelievable, futuristic, or simply impractical. Be assured, every element in this concept has been successfully done before. Spatial arrangements may be new, some only subtly changed, but the way people will use them is very old and basic. The structure is straightforward typical construction. Long-term thinking can change the entire way we design and plan. Many of those great places in the world we love to visit are hundred�s, many are over a thousand, years old. A lot of people would be without affordable housing if not for so many very old stone structures. General Plans for 25 or 50 years, -that�s a very short time. Did anyone plan for Rome to be there a thousand years? Probably not, but it suggest even our less permanent towns will make some kind of a long-term mark. NCT can easily be included as a special section of any new General Plan. It will eliminate car-oriented limitations, allowing a more imaginative future, and provide an alternative that could resolve typical General Plan conflicts.